The Samsung’s next beast smartphone, the Galaxy S8, is the topic that everyone is asking and wanting for the past several weeks as we approach its debut. Of course, there are still many things which are unclear about the device. One thing that seems pretty definite, though, is that Samsung isn’t going easy on the design of this device as it prepares to launch a phone with remarkably non-existent bezels, as you can see in the above image. The image isn't from a very well-known source, it lines up well with the leaks we’ve seen thus far, and David Ruddock of Android Police also states that it lines up perfectly with all the information that they have received on the device. The image were originally posted by the Twitter account @dfordesign, and show handsets that have remarkably slimmed down bezels. That includes both the top and bottom. Another thing to note is that both corners of the display window are rounded, suggesting the screen itself will be rounded. In the original report, a source speaking to the publication says this will indeed be the case. One of the main reasons these panels seem to be genuine is that they include more sensor cutouts than previous leaks. Why does this matter? In previous leaks, the S8 was depicted with the same sensors as the Galaxy S7, which seems unlikely given the additions that were made on the ill-fated Galaxy Note 7. There we saw the addition of an iris scanner as well as the extra cutouts that were seen on the Note 7. 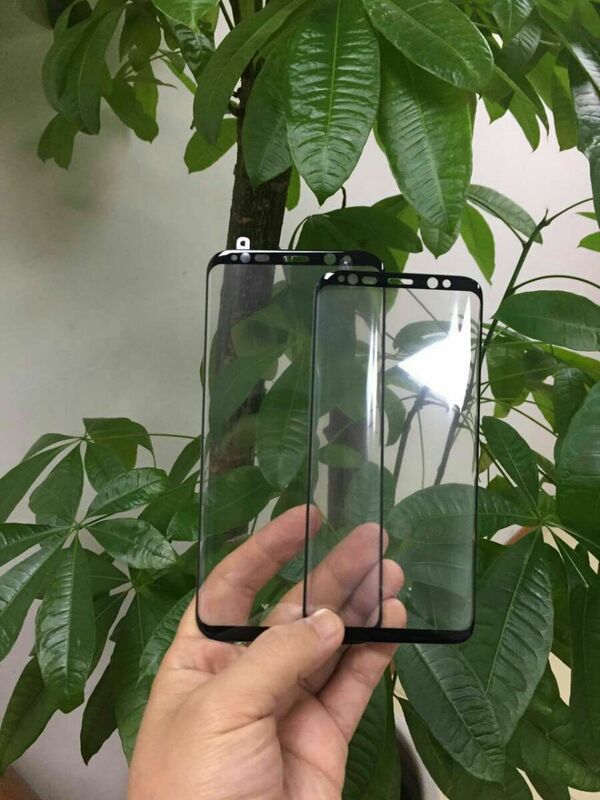 Given those facts, it certainly seems like these panels are legitimate and we can indeed expect a Galaxy S8 that lacks bezels and a physical home button. The lack of bezel is nothing short of impressive, but personally, I’m a bit wary on the level of strength it will provide against drops ─ as we well know, Xiaomi’s Mi Mix didn’t fare all that well. Further, Samsung is going to need to implement quite a few touch-rejection features in the software to weed out accidental touches since there’s barely room to place your finger along the bezels. Nothing is official just yet, but we probably don’t have long to wait before Samsung makes the Galaxy S8 official. What do you think of this new design?